Musandam Govrenorate (Arabic : مسندم) is a govrenorate o Oman. Geographically, the Musandam peninsulae juts intae the Strait o Hormuz, the narrae entry intae the Persie Gulf, frae the Arabie Peninsulae. 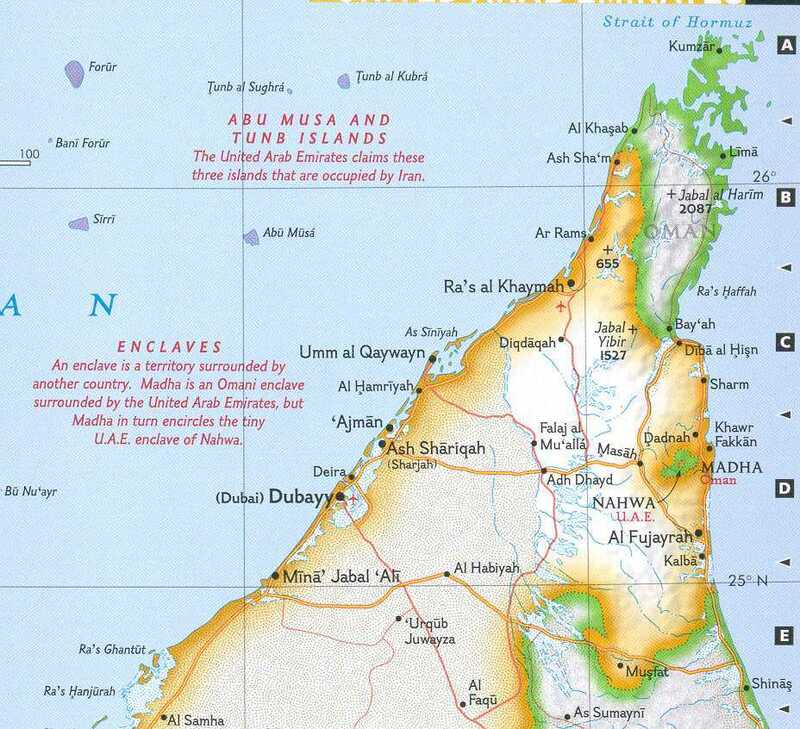 The Musandam peninsulae is an exclave o Oman, separatit frae the rest o the kintra bi the Unitit Arab Emirates. Its location gies Oman pairtial control, shared wi Iran, o the strategic strait. In the northren section o Musandam, aroond Kumzar, the leid is Kumzari, which is ane o the sooth-wastren Iranian leids an a sub-branch o Persie. The Musandam Peninsulae haes an aurie o 1,800 square kilometers (695 sq mi) an a population o 31,425 fowk. Connectivity haes tradeetionally been a problem for the region, but this haes greatly impruivit syne August 2008 wi the warld's fastest passenger ferry launchin service atween Muscat an Musandam. Khasab toun is the regional centre o the Govrenorate. The aurie haes great strategic importance awin tae its proximity tae the Strait o Hormuz. The ruggit coastline resembles the glacier-carvit coasts o polar regions, but in this case, the coast wis shaped bi the movement o Yird’s crust. The Arabie plate is slowly pushin unner the Eurasie plate, creatin the yirdquauk-prone muntains o Iran. On the leadin edge o the Arabie plate, the Musandam Peninsulae is sinkin. The heicher elevation muntains remain abuin the watter, but the sea haes rushed in tae fill the valleys wi fingers o watter.